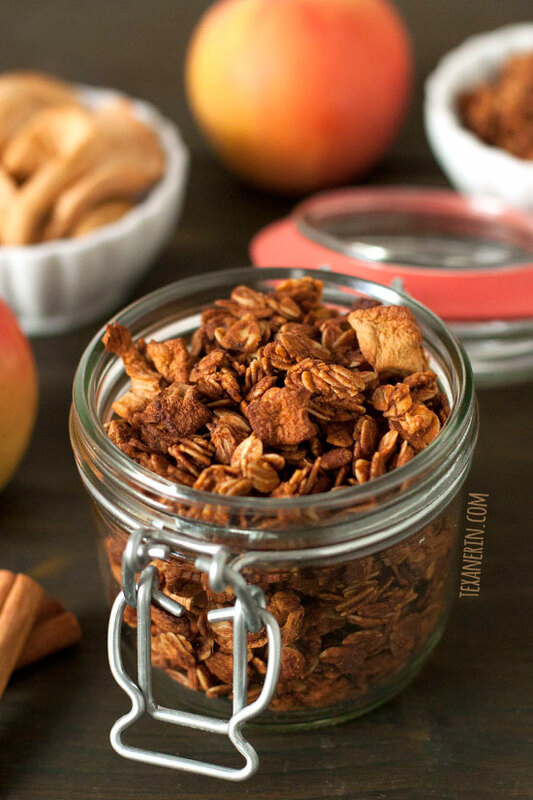 This lightly sweetened cinnamon apple granola is 100% whole grain and super allergy friendly! I made this gluten-free granola recipe for Food Fanatic last year and am finally getting around to sharing it over here. 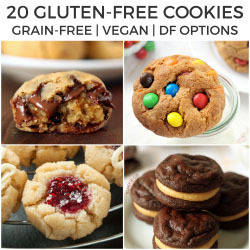 I figured how could I not when it’s gluten-free, 100% whole grain and vegan? And dairy-free! You all probably know that I don’t have any dietary restrictions but it makes me so happy to post recipes that most people can enjoy. The recipe calls for canola oil but you can use whatever type of oil you want. Coconut oil, olive oil… your choice. I’m not sure if butter will work but feel free to experiment! I’m sure nuts would also go really well with this apple granola! Especially walnuts, almonds, and pecans. If you want to use those, I’d add them in the last 5-10 minutes or baking. Or after baking. Once the granola is baked, you can toss in anything. 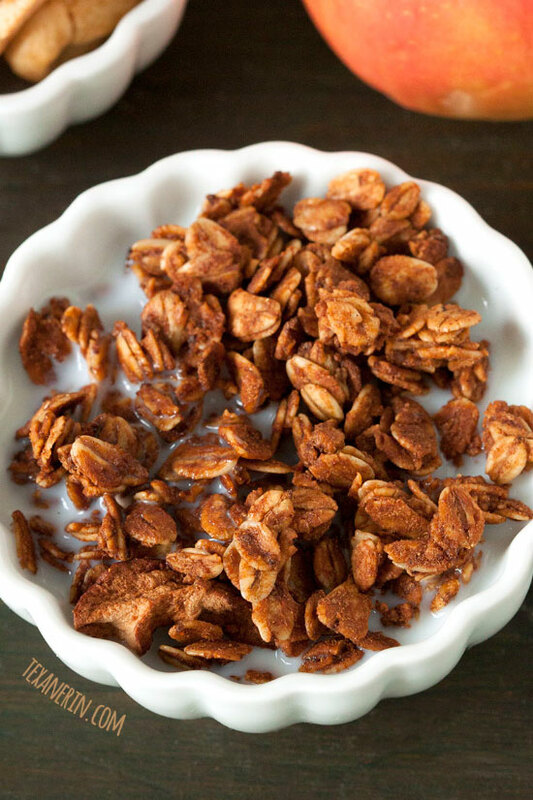 28 comments on “Cinnamon Apple Granola (gluten-free, vegan, dairy-free, whole grain)” — Add one! This looks like the perfect thing for me to nibble on at work. Gives me a break from the usual. You had me at cinnamon. I love homemade granola and this one is sheer perfection. This granola is just perfect. And not because it’s fall and it’s an apple cinnamon situation. It’s just… I kind of want to dive into it, you know? That granola looks and sounds outstanding, Erin! What a great flavour combo for fall! Your granola looks delish…good by itself and on so many things…like yogurt! I need a new granola recipe! This one looks perfect. Love dried apples! This looks great – wish I could reach in and grab a taste! I love that this isn’t overly sweet/dessert like. I generally eat granola in the morning and while I enjoy sweets, I don’t necessarily want to start my day with them. That’s healthy of you! I wish I felt the same. Boooo! 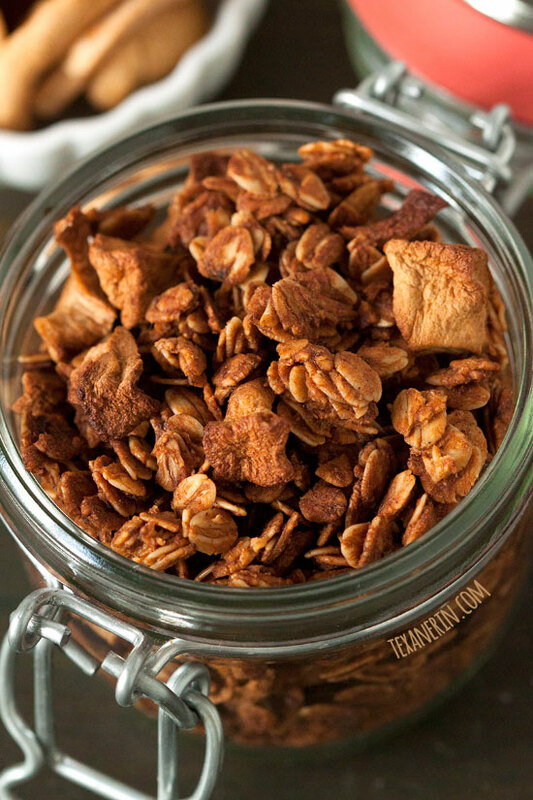 I love dried apples, and the thought of them in this granola is making me hungry. It sounds amazing! This looks so good!! Nice work on your detox…you have more willpower than I do! Thanks, Ashley! It wasn’t that bad because I wasn’t craving anything. It was just weird for someone who was previously eating eats literally once an hour! I could use a detox like that…but it probably won’t happen anytime soon,. I am weak. I need to make this granola. I love love love apple cinnamon anything! Erin, I’m not at all surprised that you aren’t hugely craving sweets. The eating plan that we follow started with 21 days omitting things like added sugar and white flour. I did not crave sweets before and definitely didn’t afterwards, but everyone else I know on the plan had their sweets cravings pretty much disappear. 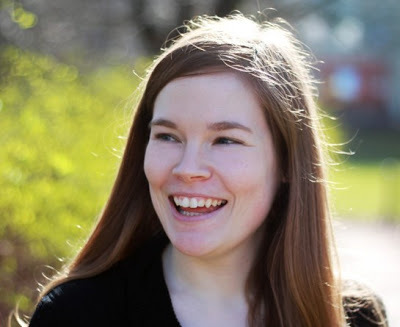 The way the plan works is that you eat every 2-3 hours, alternating meals and snacks, and we have always been so well satisfied doing that we have not craved anything. I’m saving this granola recipe, because I love the flavors as well as the fact that it isn’t sweet. That’s interesting! Even now that I’ve eaten some potatoes, grains and sweets, I’m not craving them. I hope this keeps up forever but it sounds too good to be true. :( And I’m eating very often, too! I used to eat a huge, warm, carb-filled lunch and be full for the day with a little unhealthy snacking in the evening but now I need to eat really often. This is PERFECT for fall, Erin!!! I can never complete detoxes like that without cheating. I just feel like I can never not be hungry! Glad you made it through — send a little willpower my way, will ya? I’ve never made granola before, but I loves it. So much do I love it. Need to get a healthier version like this in my life.